Losing a loved one can often prompt an interest into exploring spiritual interests and opening the mind to new ideas. One of the many interesting people we have come across recently is a lady local to us in Norwich, Bronia West. Bronia works as a spiritual medium, crystal practitioner and reiki healer and lives with her husband of 24 years and has 2 grown up children. For 19 years Bronia has been on her own spiritual journey which she describes as an emotional rollercoaster throughout which she has maintained a strong conviction that this pathway was chosen for her. She is now a mentor and teacher to many others, helping them to further their knowledge and confidence in the healing properties of crystals and the spirit world. In her crystal healing work she uses her knowledge of a variety of crystals whose properties can assist in many forms of healing such as helping someone come to terms with a bereavement or helping to heal physical illness. Bronia says that the colour of each crystal plays a very important role in the healing process and each crystal carries an energy of its own which can help balance and release emotions to restore a sense of wellbeing, inner peace and harmony. 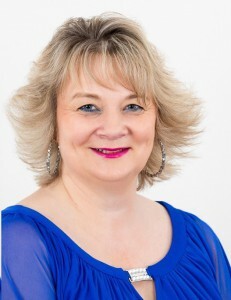 In her work as a Spiritual Medium Bronia offers both personal readings as well as Clairvoyance evenings in local establishments such as restaurants, hotels and social clubs allowing each individual to experience evidential information through herself that our loved ones continue to evolve. Bronia believes that every one of us never stops learning, growing and understanding how we work with our own unique spirit and also the spirit world. She endeavours to assist and support anyone who comes seeking to progress with their understanding/awareness of self and spirit. ← LillieBeth Memories and Dresses for Angels.